Can rock-bottom Huesca spring a surprise on Saturday? "Huesca have netted in nine of their last 10 games, and have scored seven times in the last three, including twice at the Bernabéu. In Chimy Ávila, they have one of the divison's form forwards"
They say picking up results when you're not at your best is the mark of a good team, and this Barcelona side certainly seems to meet that criterion. Three times in the last fortnight they've gritted their teeth and got the job done with varying levels of conviction: there was the point snatched at the death against Villarreal, then the late win over Atlético Madrid, and finally Wednesday's drab success at Manchester United. Barça were nowhere near their best at Old Trafford. Lionel Messi was quiet, and his usual co-conspirators - Jordi Alba, Luis Suárez, Arthur - were well marshalled. Yet they still snatched a goal with a moment of ruthlessness, and will feel confident of completing the job back in Catalonia next week. The belief will be that they can't play that poorly again. With the league title all but sewn up - they have an 11-point advantage, plus goal difference - there's a very real possibility that Ernesto Valverde will rotate heavily this weekend. That could mean starts for the likes of Malcom, Sergi Roberto, Carles Aleñà, Arturo Vidal, and even the lesser-spotted Kevin-Prince Boateng. Gerard Piqué and Suárez are suspended anyway, and Messi, who usually has to step off the bench even when given a rest, might actually get a proper night off. Does that give Huesca a chance of a surprise win? It's unlikely: they shipped eight to Barça back in September and would probably struggle even against the second string. They're bottom of the table for a reason. Yet there is reason to be hopeful about their chances of at least getting on the scoresheet. 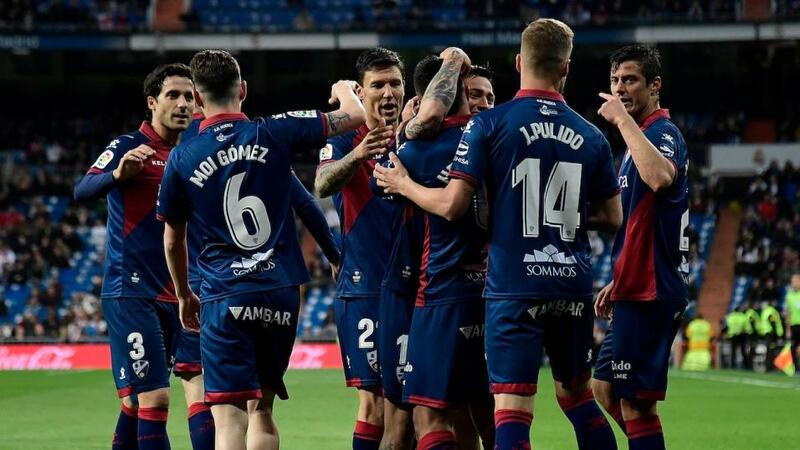 Huesca have netted in nine of their last 10 games, and have scored seven times in the last three, including twice at the Bernabéu. In Chimy Ávila, they have one of the divison's form forwards (seven goals in 10 games), and there's no reason they can't contribute to an exciting game. Rayo Vallecano are usually a good pick for a both teams to score bet: they're suspect at the back (only Huesca and Levante have conceded more) but have a decent attack, led by poacher supreme Raúl de Tomás. The 24-year-old, who is owned by Real Madrid, already has 13 league goals to his name - a good return by any metric, but especially impressive because this is his first crack at the top flight. Rayo are going to need something special to beat the drop, and will struggle to get a result against Athletic Club, who haven't lost at home in the league since October. But we do like their chances to find the net, not least because the Basques are without Mikel San José, who patrols in front of the back four. Rayo have scored in 24 of their 31 games so far this term, including 13 of the last 15, and they can do so again at San Mamés. Leganés haven't had much joy against Real Madrid since they joined primera - they've lost all five meetings between the sides, conceding 16 goals in the process - but they'll be viewing this Monday-night game as an opportunity to secure some local bragging rights. That is in part a factor of their own form. Los Pepineros have lost just five league games since the start of November, which doesn't sound amazing, but is pretty solid stuff given they were widely tipped as relegation candidates once more. Mauricio Pellegrino has turned them into real scrappers, and that's especially true at Butarque, where they've lost just once in 13. Barcelona, Atlético Madrid, Getafe, Sevilla, Real Betis and Valencia have all been frustrated in that period, so we don't expect them to be overwhelmed by the occasion when their city rivals visit. And there's nothing about Madrid's form that will strike fear, either: Los Merengues have barely limped past Celta Vigo, Huesca and Eibar - all of whom are below Leganés in the standings - and lost their last away game, at Valencia. With Madrid always liable to concede on the road (only one clean sheet away from home in La Liga so far), we like Leganés' chances of making life tough for them. The play is to use the Same Game Multi tool on the Sportsbook to back both teams to score and Leganés to avoid defeat, at odds of [3.27].